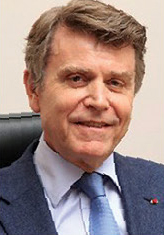 Thierry de Montbrial is Founder and President of the French Institute of International Relations (IFRI) and a member of the Academie des sciences morales et politiques. THE course the world has begun to take is worrying. Notwithstanding the fact that the global crisis did not get worse, the Eurozone appears to stand firm for the moment, and the banking union is becoming a reality, the international monetary and financial system is far from being consolidated. Besides, can one really talk about an international monetary system anymore? We are observing weaknesses in the real economy in both mature and emerging countries alike. In the Eurozone, the competition discrepancies—particularly between France and Germany–are threatening the single currency. At the same time, the citizens of EU Member States are worrying about the lack of control of migratory movements; they are certainly making a show of their increased skepticism, as reflected in the results of the June 2014 European parliamentary elections. Nationalism is again raising its evil head even inside the European Union, let alone further east. The Ukrainian crisis provoked an adrenaline surge in Russia, and remains the most influential event in our part of the world from the vantage point offered to us at the start of 2015. Let us remind ourselves briefly of certain facts from the recent past that are pertinent to the East-West situational context—a context considerably aggravated by different factors: the attitude towards homosexuals in Russia, the Snowden affair, disagreements with respect to the Middle East, and so on. In 2013, Russia sought ways to prevent Ukraine from signing a Stabilization and Association Agreement (SAA) with the European Union, which Moscow considered contrary or even hostile to its interests. Three years previously, Moscow had signed an agreement with Kiev offering preferential gas tariffs in order to keep the Sevastopol naval base. In any event, Russian pressure was sufficient to ensure that the SAA negotiations broke off in December 2013. Practically at the same time, a more or less spontaneous resistance sprang up in Kiev in the shape of constantly growing public protests. The chaos reigned while the Sochi Winter Olympics were opened with pomp and circumstance.